I’m a fan of visual novel developer Key’s works, both in their original and animated forms. They’re beautiful romance stories filled with life and laughter. The emotions begin to hit you not too long into the stories, but both Kanon and Clannad, the two I’m familiar with, are longer form stories so there’s plenty of time for that. For the anime of both, the feels usually start to hit 6 or so episodes in. Planetarian, while I haven’t played the original visual novel(Though it is now on my list. The question is do I wait for the HD version to be translated into English or just grab the already translated original? ), is much shorter. The anime adaptation comes in two forms, a 5 episode ONA(Original Net Animation) and a compilation film that adds in bits from the sequel novel amounting to about an extra 20 minutes of footage. 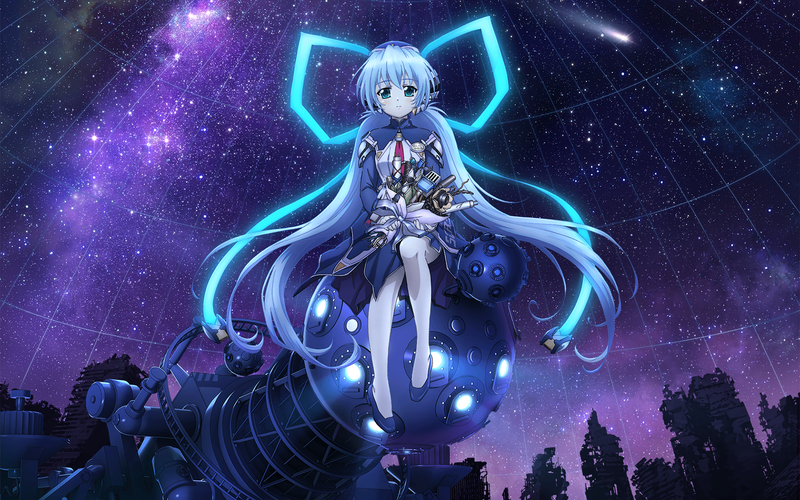 In that short runtime, Planetarian nearly moved me to tears. Unlike Clannad and Kanon, which focus on connections between friends, living life, and falling in love, Planetarian instead focuses on a love of the stars with the relationship between a junker and a robot forming the backdrop for the story. To provide some context though, Planetarian takes place 30 years after a war that leaves the world in ruins and the human race on the verge of extinction. People do what they can to survive and junkers go out scavenging for supplies. One such junker, the protagonist of the story, enters the sarcophagus city, a city that had a chemical weapon dropped on it and is still patrolled by killer robots. He ultimately ends up in a department store after being chased by the robots and meets a still functioning humanoid robot that runs the rooftop planetarium. She asks him to stay for the planetarium’s presentation, but because the projector is broken, it needs to be fixed before the show can go on. That forms the basis for this short story. Despite the bleak post-apocalyptic world outside the planetarium, the tone is still hopeful and the world as presented by the stars is a beautiful one. It reminds me of when I was growing up and I loved to look up at the stars. I know more about them now than I did back then, but they were still a beautiful sight and I wish that I could reach out and touch them. When I reached high school and I was allowed to take an astronomy class, I jumped at the opportunity. Something about space and the stars just always fascinated me, and Planetarian made me feel like a kid again, dreaming about the stars. The main protagonist, the Junker, is effectively a stand-in for all the readers who once looked at the stars and dreamed of them, but forgot what they looked like as life and reality set in. Yumemi, on the other hand, is the personification of that dream, of seeing the stars in all their splendor and sharing that joy with the audience. Because she helps you find that joy again, Yumemi becomes an endearing character as the short series progresses, and when it’s all said and done, you thank her for the wonderful presentation and memories. Visually, Planetarian is beautiful with both vibrant and monotone colors where necessary, and nothing looks cheap. It’s no Ufotable or Madhouse production, but the team at David Production clearly put a lot of passion into this work and made it the best they could. The same can’t quite be said of the sequel film, which reuses a lot of footage from the ONA series as flashbacks to fill in the runtime. It feels a bit more like an afterthought, especially since it released so soon after the ONA finished airing. The additional content could have easily just been a sixth episode considering it only makes up 20 minutes of the movie. In terms of sound, the soundtrack in this show is nothing short of beautiful at times and appropriately fitting at others. And that’s all there really is to say about it other than the fact that the English dub is well cast and produced and I recommend it if you don’t feel like reading and just enjoy the experience.